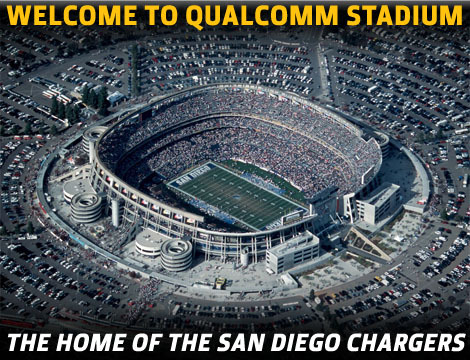 Chargers, craft beer, downtown, Equality Alliance of San Diego, Institute for Policy Research, National University, Qualcomm, San Diego, Sherman Heights, stadium, Stone Brewing Co.
Should we have a publicly funded football stadium in downtown for the Chargers? Mark Fabiani, Special Counsel to the President of the Chargers – Mr. Fabiani has been providing counsel to the Chargers since 2002 and has been at the center of the team’s efforts to remain in San Diego. You can read his bio here. Carmen Vann, Project Executive, Turner Construction Co. – Ms. Vann has led multiple major construction projects on behalf of Turner Construction in San Diego, including its work on the downtown San Diego public library. NBC did a special feature on Carmen, one of the few high-profile women in the construction industry. Erik Bruvold, President, National University Institute for Policy Research – Mr. Bruvold heads up the Institute for Policy Research and provides policy leadership related to municipal governance, the economy, infrastructure and several other topics. Read his bio here. Christian Ramirez, Human Rights Director, Equality Alliance – Mr. Ramirez, a long-time resident of the Sherman Heights community in City Council District 8, directs programs related to immigrants’ rights for the Equality Alliance. Watch this video about their mission. To register for the guest list click here// .